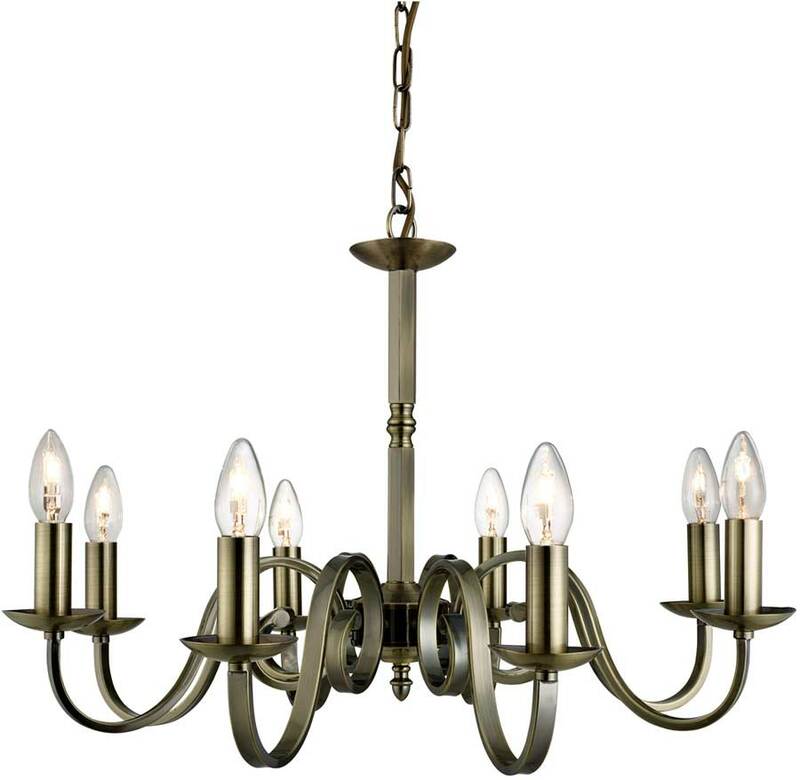 This Richmond traditional antique brass finish 8 light dual mount chandelier with scroll arms and candle style lights features a circular ceiling cup, chain link suspension and hexagonal central rod. Eight flat bar scrolled arms radiate from the middle, with candle style lights, curved candle drips and tall candle tubes. A classic chandelier that is not too large and suitable for any room in the home. The traditional style, soft brass finish and candle lights combine to create a bright ceiling light that will add a bit of glamour wherever it’s fitted. The minimalist design makes it ideal for understated interiors that will add a charming elegance to modern or contemporary settings too. This is a dual mount ceiling light that can be used with the height adjustable chain suspension or fitted as a semi-flush mount for rooms with a lower ceiling to achieve your ideal drop, please see below for dimensions. Please follow this link for the installation instructions. 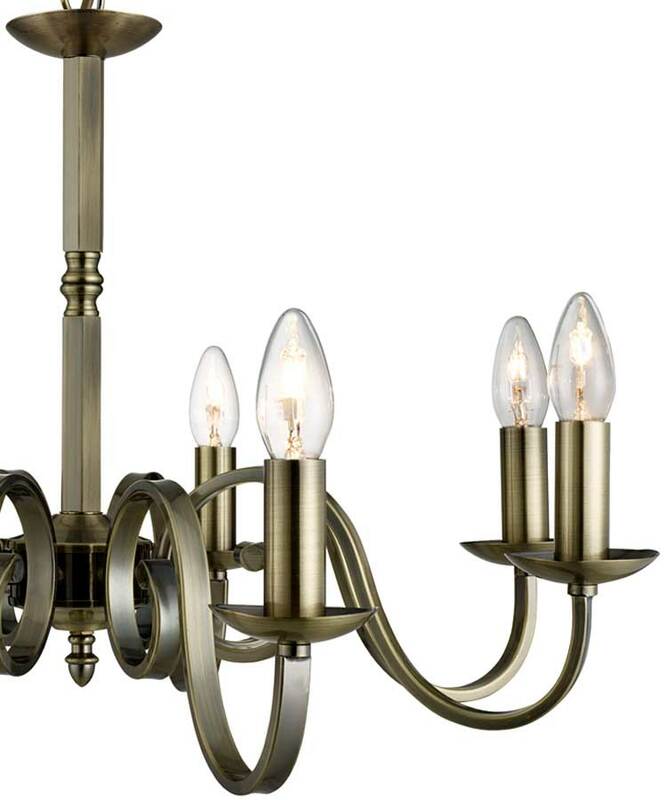 There are matching fittings available in the Richmond antique brass finish lighting range that includes a twelve-light chandelier, a five-light dual mount chandelier and a switched twin wall light; please see below. This ceiling light is supplied by Searchlight who manufacture some of the best traditional and modern classic designs such as the Richmond traditional antique brass finish 8 light dual mount chandelier with scroll arms and candle style lights you see here.